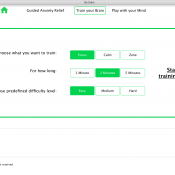 GoCalm helps learners cope with exam pressure through guided videos, brain training and brain gaming with session history and progress reporting to keep learners focussed and calm for exams and beyond. Most learners will feel nervous under exam pressure. GoCalm is designed to help learners identify how it feels to be calm and focused so they can bring that state of mind into their exams. Need to relax and focus quickly? Follow the guided videos for techniques to relieve anxiety and move towards a more relaxed and focused state of mind. Want to improve focus and learn how to feel calm at times of stress? Train your brain by understanding and visualising how it feels to be calm, focused or both with a series of exercises. A choice of levels and times helps track your progress. Want to improve your mind through play? See how being calm and focused affects your performance with a choice of fun games. Buy the GoCalm app together with a headset and choose 3 additional MyndPlay apps free. Up to 10 individual profiles also allows you and your students, friends or family to get involved and build their own session history. The new MindWave Mobile headset is evolved for today’s mobile user. It is compatible with Apple iOS products, including iPhone, iPod Touch and iPad and Android phones and tablets. 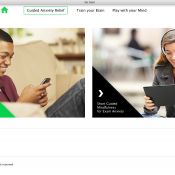 And you can double your use of the MindWave Mobile with Mac and PC compatibility. 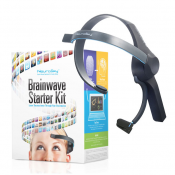 MindWave Mobile is the world’s least expensive research-grade EEG headset available. Designed for interface with mobile devices (iOS and Android) and desktop (Win and Mac), it can be used with a wide variety of games, brain training and education applications. Its clear brainwave signal is based on the TGAM, the bio-sensor chipset that revolutionized an industry. It is an excellent introduction into the world of brain-computer interface (BCI). Disclaimer: The GoCalm app is designed to help learners develop coping strategies for exam pressures. It’s not designed to be a substitute for seeking professional medical advice on any health-related matter. If you have any concerns please speak to a responsible adult/teacher or consult your General Practitioner (GP).